A few weeks back Ladan started a two week course of a sleeping tablet called Zolpidem. I blogged about the fact that in a small but not insignificant number of cases Zolpidem has been found to awaken people from coma like states for the duration of its effect (around a few hours). I have previously mentioned that there were no dramatic results from using the medication with Ladan, but that there may have been some small changes. A full update should follow in the next week or two, but this entry is to explain the delay in reporting how I feel the trial went, and to give some indication of what happened during the trial. In this blog entry I am not going to differentiate between what was observed by staff and what was observed by family members. 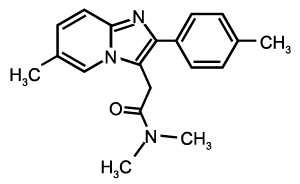 Zolpidem is a short acting drug, it usually starts acting within 15 to 30 minutes and stops working after a few hours. About 15 minutes after the drug was administered Ladan would typically go through a period of increased rapid eye movements for a period of around 10 – 30 seconds, with her eyes closed, and then seem generally sleepy. She remained arousable by movement or speech, but was not generally as agitated when aroused. Ladan often has quite normal reflexes which are superseded by extensive behaviour (stretching out her arms and legs) if she remains disturbed or uncomfortable for a “prolonged” period. That “prolonged” period may be a matter of seconds, but can often be avoided if you react to the non-extensive reaction and remove the stimulation, or otherwise relax Ladan, soon enough. During the course of the medication Ladan was found to be generally less extensive and her reflexes appeared to be slightly better refined. Ladan’s individual fingers were, for example, felt to react better as individual fingers when touched rather than as a collection of fingers reacting together. There were also times when people felt Ladan was more alert or aware than usual, and that her reactions to speech were more natural. Most of the the possible differences that were observed were not new, but were either more frequent or, as in the case of being more relaxed and less extensive, more prolonged. One of the more notable facts about most of the observations referred to above is that these “differences” were being observed throughout the whole time period of the trial, that is to say they were not limited to the few hours during which the drug would typically have an impact, the “difference” was still being noticed at least 21 hours after the drug had been given. I have three possible explanations for this, firstly it is possible that some of the “differences” were seen because they were being looked for, secondly I theorize that some part of the mind was put to rest by the tablet and that this enabled better reactions when the resting effect wore off (this would require a medical opinion, which I hope to get soon), my third explanation is that I was personally present more of the time. I have previously mentioned in blog entries that there appears to be a direct link between how settled Ladan is and how much time I spend with her. Many previous times where Ladan has seemed to be more aware have also followed on from an increased presence from myself. As I was arriving to be with Ladan from an hour to an hour and a half earlier each day and not popping out as often it is likely that at least some of the improvement would be down to this, rather than the medication. So, following the two week trial Ladan had a week of how things were previously, and now I am trying to spend extra time with Ladan for a week to see what effect that has. It has so far proved difficult to spend the extra time with Ladan, so to get a farier comparative picture this might stretch on a little beyond one week. Once I have a better idea of the difference between “Ladan with more James” and “Ladan with Zolpidem and more James” I will be writing up a report on the differences for the relevant medical staff to look at. There is a small possibility that they will feel the medication may be worth trying for a longer time period, but otherwise there are other things that have had significant results on people in conditions similar to Ladan’s which I hope to research further and, if appropriate, discuss with Ladan’s doctor. I suggested another update may follow, and it did not. The observations above do seem to have been largely the effect of the Zolpidem, especially the refined reflexes. The state of relaxation or comfort that is achieved through my spending even more time with Ladan does not have as wide ranging an impact on restricting extensive, spasm -like reactions, when moved by other people. Currently I am awaiting an answer from Ladan’s consultant on whether or not Ladan may try another medication which, though unlikely to have an impact tends to have a quick and significant benefit when it does work, whereas Zolpidem tends to bring benefits over a longer period of use. If we cannot try the other medication, or if we do and it has no benefit, then then I shall be asking for Ladan to receive Zolpidem again.